Bournville was a model village created to house Cadbury workers, although most of the houses are now owned by the Bournville Village Trust rather than the company itself… Quiet and relatively crime-free, Bournville is too tranquil to host an insurrection, but there is a revolutionary mood afoot in the wake of Cadbury’s decision to accept Kraft’s £11.9bn offer. 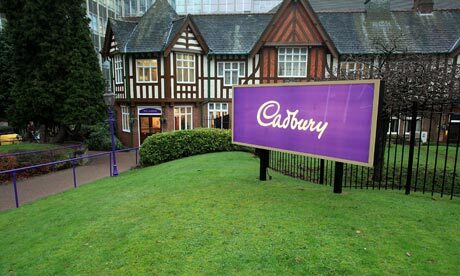 The local BBC radio station hasn’t played an American song all week and although Cadbury employees are reluctant to talk, it is impossible to find anyone who is in favour of the deal. Idleness so called, which does not consist in doing nothing, but in doing a great deal not recognized in the dogmatic formularies of the ruling class, has as good a right to state its position as an industry itself. It is admitted that the presence of people who refuse to enter in the great handicap race for sixpenny pieces, is at once an insult and a disenchantment for those who do. Extreme busyness, whether at school or college, kirk or market, is a symptom of deficient vitality; and a faculty for idleness implies a catholic appetite and a strong sense of personal identity. There is a sort of dead-alive, hackneyed people about, who are scarcely conscious of living except in the exercise of some conventional occupation. Bring these fellows into the country, or set them aboard ship, and you will see how they pine for their desk or their study. They have no curiosity; they cannot give themselves over to random provocations; they do not take pleasure in the exercise of their faculties for its own sake; and unless Necessity lays about them with a stick, they will even stand still. It is no good speaking to such folk: they cannot be idle, their nature is not generous enough; and when they pass those hours in a sort of coma, which are not dedicated to furious moiling in the gold mill. Chinese artist Ai Weiwei, speaking today at Art Basel Conversations (right), is recovering from brain surgery in Munich, the result, he says, of an assault by police officers in Sichuan Province. “The operation saved my life,” he said when The Art Newspaper visited his Beijing studio just before the fair, adding that it will take around four months for him to fully recover. Ai’s popular blog on Chinese website Sina.com has been removed, and his activities are now limited to Twitter, on which he has around 10,000 followers. “140 characters is enough—following the operation, that is all I have the attention span for,” he said. “I cannot write long articles right now.” Twitter is blocked by the government in China, so users hack into the site. Recent topics on his prolific feed have included his ongoing struggle with Sichuan police over the assault, his research into the Sichuan earthquake, the nomination of Chinese writers for the International PEN Writers in Prison award and the recent Obama visit to China, often using strong language. The police in Sichuan have issued an official denial of his assault (Ai says he has a recording of the attack that took place against him), and the government has now launched a probe into his finances. THE ARTS sector is worth €782 million a year to the economy and employs 26,519 people, research released yesterday has found. Assessment of Economic Impact of the Arts in Ireland, a report by Indecon Economic Consultants, commissioned by the Arts Council and written by economist Dr Alan Gray, suggests the economic impact of the arts may be larger than generally perceived. But this Indecon report “shows the arts sector does have significant economic impact”. Some €76 million of Arts Council funding to organisations in Ireland supports more than 3,000 jobs, generates €192 million in turnover, and €54 million of it returns directly to the exchequer in taxes, the report found. Arts workers throughout the city and county are coming together to ensure the place of the arts in our country’s recovery, in a March For The Arts at 2pm on Saturday 14 November beginning at Daunt Square. Cork artists and arts workers are proud of their contribution to Cork’s designation in the Lonely Planet Best of 2010 Guide as one of the top ten cities in the world to visit and the significance that this has had to the local economy. At a meeting in the Everyman Palace Theatre on the 29th of October, arts workers in Cork came together to discuss what they could do locally to voice their support for the National Campaign for the Arts (www.ncfa.ie). 1. Retention of Culture Ireland, the agency for the promotion of Irish arts worldwide. 2. Retention of The Irish Film Board, development agency of the Irish film industry. 3. Maintenance of existing levels of funding to the Arts Council. 4. Retention of the artists’ income tax exemption scheme. 5. Commitment to retain the arts portfolio at cabinet as part of a senior ministerial portfolio. There was a very strong feeling at the meeting that, as well as contacting TDs and local representatives to make the case for the arts, a public action of sorts needed to be made, not only by arts workers, but by the general public who are supporters of the arts and who are concerned about the effects of cuts to arts funding. Cork artists and arts workers are proud of their contribution to Cork’s designation in the Lonely Planet Best of 2010 Guide as one of the top ten cities in the world to visit and the significance that this has had to the local economy. It is hoped that with the maintenance of current levels of Arts Council funding, the arts in Cork will continue to draw visitors to the area and that Cork can capitalise on the spending power of these visitors.. So on Saturday November 14th, all concerned parties will gather at Daunt Square and march down Patrick’s Street and gather again at Emmet Place. The main objectives are to raise awareness and inform people of what’s at stake for the Arts in the forthcoming budget and to ask people to add their signatures to an online petition (http://www.petitiononline.com/ncfa/petition.html) in support of the cause. For more information on the march, visit www.corkarts.org. An extra special event will take place at 1.30pm, just before the march – for more information on how to be involved, email letmrblueskyin@gmail.com. In a statement issued on Monday 7 September 2009, the Arts Council has said that it is to argue for the continuation of the Artists’ Tax Exemption Scheme. The Arts Council has reported that it will make a strong case to Government for the retention of the tax exemption scheme, the discontinuation of which was recommended by the Taxation Commission’s report, also published on Monday. “The Arts Council disagrees with the recommendation of the Commission on Taxation. As the Diaspora event at Farmleigh will confirm when it debates this matter in two weeks’ time, Ireland has a tremendous opportunity to promote itself in a positive way through our global cultural profile. If the exemption was withdrawn, a situation would be created where there would be pressure on that profile,” Ms Moylan said. She warned that if the exemption were scrapped, it would discourage artists who might think, at the early stages of their careers, that they have the potential for very significant commercial success from staying in Ireland. It could also discourage people from continuing with a career in the arts. “The artists’ exemption scheme is not a ‘rich man’s’ relief as has been portrayed in some quarters. The greatest number of its beneficiaries struggle for financial viability on a year-on-year basis. 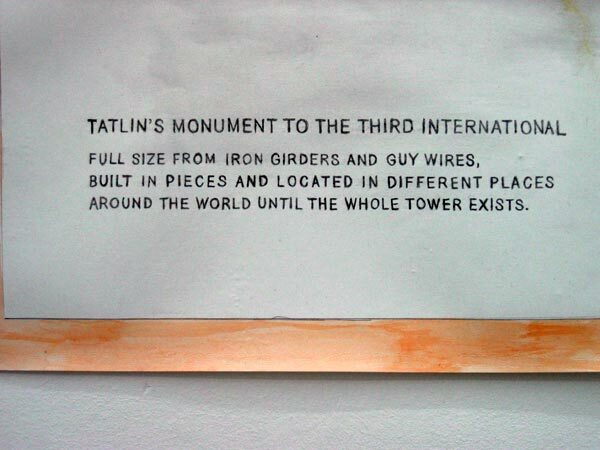 This is true of relatively unknown beneficiaries, as well as certain of Ireland’s most internationally renowned and critically acclaimed artists. “Arts Council research has shown that over half the beneficiaries of the Scheme have average earnings of less than half the minimum wage. Of the two per cent who are considered high earners, most of whom are in popular music and writing, only one-third of their income qualifies for the relief. “It is important for Ireland to have artists of world renown resident in Ireland, just for example Seamus Heaney, Roddy Doyle, John Banville, Patricia Scanlan, the Corrs, U2, Enya, Westlife, Boyzone, the Cranberries, Paul Brady, Louis le Brocquy, Robert Ballagh, Jim Sheridan, Neil Jordan, Maeve Binchy, Cathy Kelly, Marion Keyes – and there are many others.